Beautiful group of plants. Not much of a help here as we only have reticulate in the garden but confusa would be a wonderful addition in the near future. We have a few irises. We did have a variety of colours but now most seem to be purple. I wonder if they change over time, Sue. In the same way that variegated plants sometimes revert to plain leaves ... ? I suppose all modern cultivars will eventually revert back over time but disappointing if you had a particular favourite. Or perhaps the purple ones are the strongest survivors? Thanks for finally talking about >"Awaiting Edith" <Loved it! I'm particularly fond of the Reticulata and blue Siberian Irises. From that pic, Edith does look really good in that border. 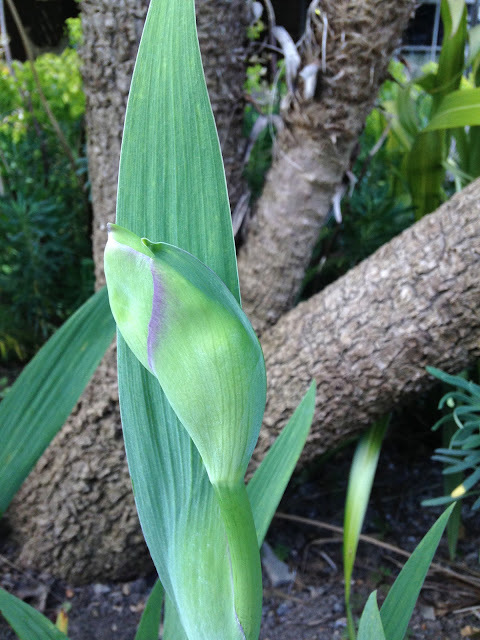 I have a lot to learn about Irises - so many different types! I bought lots of Iris reticulata this year for the early spring border in the middle garden - I'm not sure they could take the heat and wind of this washing line border. 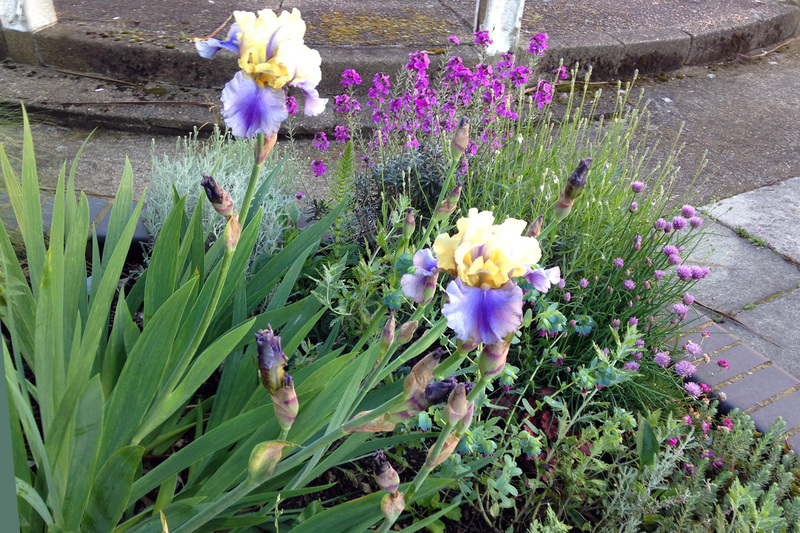 I think a little yellow iris might pop up as well near to Edith - I planted one from a bought pot a few years back - but this border is so dry that it might have given up!